My name is Ing. Petr Hemerle and I live in Prague (Czech republic). 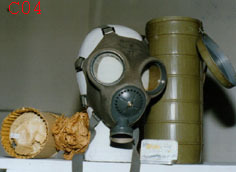 For twenty years I have been collecting gas masks, breathing apparatuses, protective suits and other things connected with protection of individuals. My collection, which is my hobby, is fairly good. 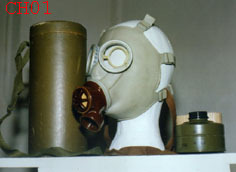 I try to document the development of protective equipment since 1914 until now by searching through a lot of archive materials. My collection cover a period of time from 1914 till now. The majority of items come from Czechoslovakia, Germany , Great Britain and Russia, but I have some things from Western Europe and USA too. 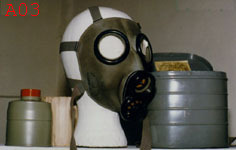 I offer gasmask and protective suits mainly of region Czech and Germany. I offer exchange one piece for one piece.